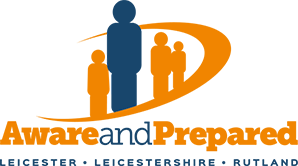 Aware and Prepared is all about being ready for emergencies and prepared to take action - a Community Response Plan can help. These are not designed to replace the role of the Emergency Services but are intended to provide support for those who need it when normal services are disrupted. Support is available to help you create a Community Response Plan. The Local Resilience Forum website contains a handy toolkit which can guide you through the process. The toolkit is available via the LLR Prepared website. You can also request guidance and support throughout the process of creating and testing your plan. Funding is now available to provide communities which develop a Community Response Plan with items to create a Community Emergency Store. This can include road signage, hi-viz clothing, sandbags, tools, communications equipment and many other items.